Home » Blog » Refractive Surgery: Are you a Candidate? ← Is Orthokeratology Right For You? Refractive surgery has become one of the most sought-after treatments today as many people try to reduce their dependency on glasses or contacts in order to have clear vision. There have been new procedures introduced over the last few years, but the most popular option in North America has continued to be LASIK. 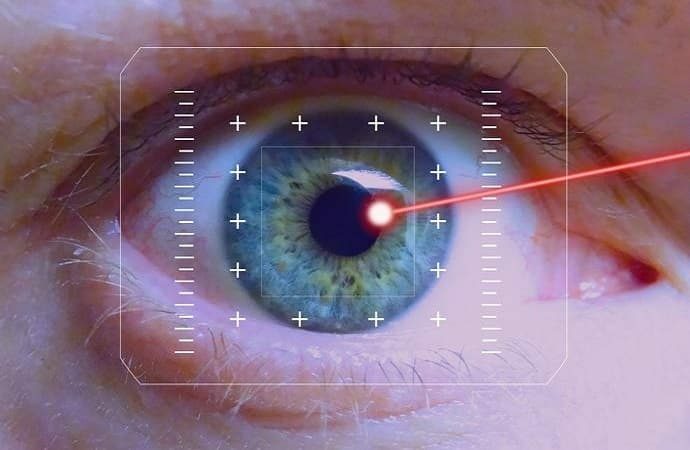 LASIK is a laser surgery that corrects myopia (nearsightedness), hyperopia (farsightedness), and astigmatism by adjusting the curvature of the tissue on the front of the eye known as the cornea. This is done by using a laser to create a thin flap in the cornea which is then folded back before removing tissue underneath with another laser. The tissue is removed in order to either flatten, steepen, or smooth out the shape of the cornea depending on the prescription. After the cornea has been reshaped, the flap is laid in its original position allowing for the cornea to naturally heal without the need for bandages or stitches. In order to be considered a candidate for LASIK, your optometrist/ophthalmologist will conduct a thorough examination in order to determine if your eyes are healthy enough for surgery. The best candidates are patients with mild to moderate myopia (<-10D), hyperopia (<+5D), or astigmatism (<-3D) with an adequate corneal thickness. The minimum age requirement is 21 years of age, but it is recommended to wait until around 25 as it allows for the prescription to become more stable for a minimum of at least 1 year. Once the surgery has been completed, a mild burning sensation and blurry vision are expected. This feeling should improve by the next morning. The doctor will prescribe medication as necessary and will schedule follow-ups which are usually at one day, two weeks, and one month after the procedure. The one day follow up is to check your vision and make sure that you meet the 20/40 vision requirement for driving without glasses or contacts. The two weeks follow up is to check for any remaining prescription that may be causing slight blurry vision. PRK is another popular type of refractive surgery which is the predecessor to LASIK and also corrects myopia (nearsightedness), hyperopia (farsightedness), and astigmatism. Similarly to LASIK, PRK uses a laser to reshape the cornea allowing light to focus directly on the retina for clear vision. With PRK, no flap is created like in LASIK. With PRK, the outer layer of the cornea (the epithelium) is removed and then the cornea is reshaped with a laser. The epithelium grows back naturally after a few days. Which is better for me? LASIK or PRK? The outcomes of both types of refractive surgery are almost the same – clearer vision. PRK typically has a longer recovery time because it takes time for the cornea to regenerate the epithelial cells and repair itself. Due to the time the cornea takes to repair itself, there is more ocular discomfort with PRK recovery than with LASIK recovery. Vision improvement with PRK is also more gradual over a few weeks, whereas with LASIK vision improvement is faster post-surgery. PRK is beneficial for those patients who have thin corneas as there is no need for a flap. There also means that there is no risk of flap complications with PRK. If you’re interested in learning more about LASIK or PRK or if you’re wondering which one may be right for you, please schedule an appointment with one of our Optometrists today. We would be more than willing to discuss your options and recommend referrals should you decide you are interested in the procedure.